Hello my lovelies! It's the first Monday of February. I hope it's gonna be a great month for everyone! I'm excited about spring and can't wait for the warm weather. 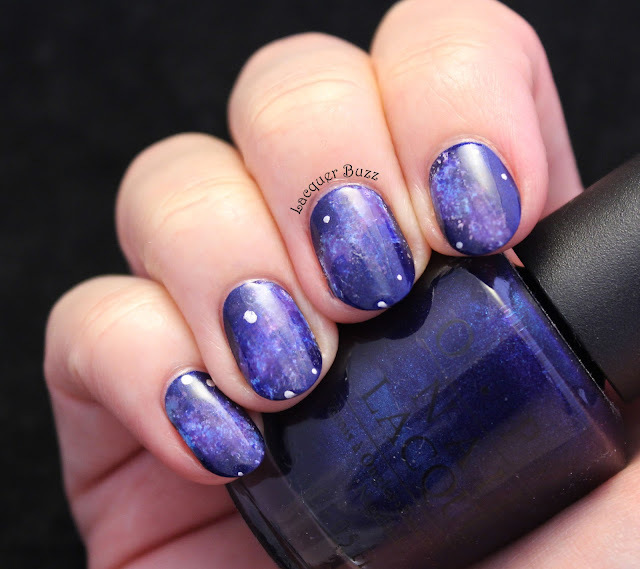 Meanwhile, I created a manicure that expresses just how much I'm looking forward to blue skies. If you follow my blog for a while, you might have noticed that I have a bit of a butterfly obsession. I created countless butterfly manicures in the last years, so why not make another one. Here it is! First off, let me say that this manicure didn't turn out as expected. I wanted to use another polish for the stamping but the bottle cap was completely stuck. After struggling with it for a while, I gave up and chose another polish that didn't stamp that great. I still got lots of compliments for these nails so I guess the vivid base color is what counts more. My butterfly obsession doesn't stop at nails, I have a couple of dresses and lots of jewellery that is butterfly themed. I used two of my earrings as props for these pictures. 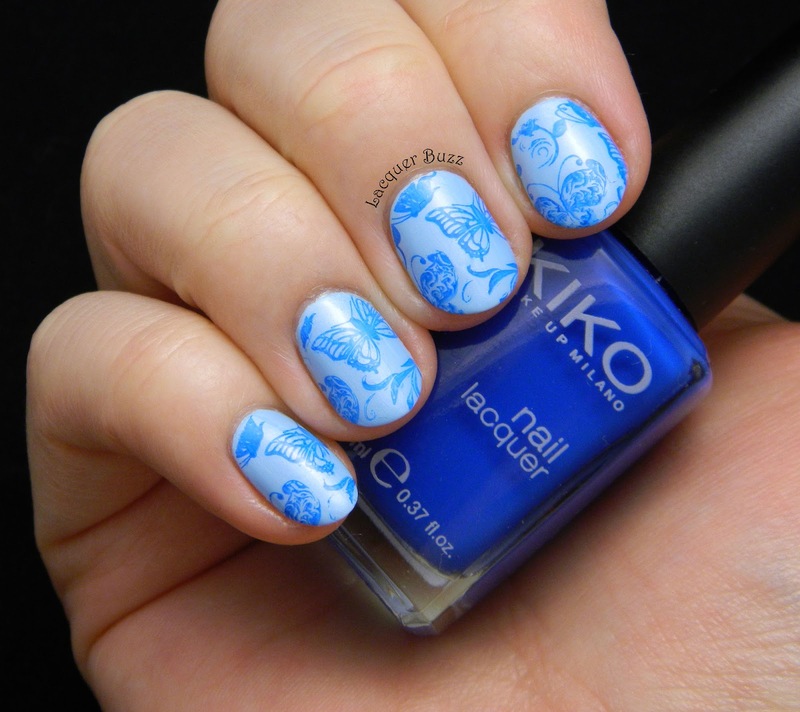 Both polishes I used for this manicure are from Kiko. 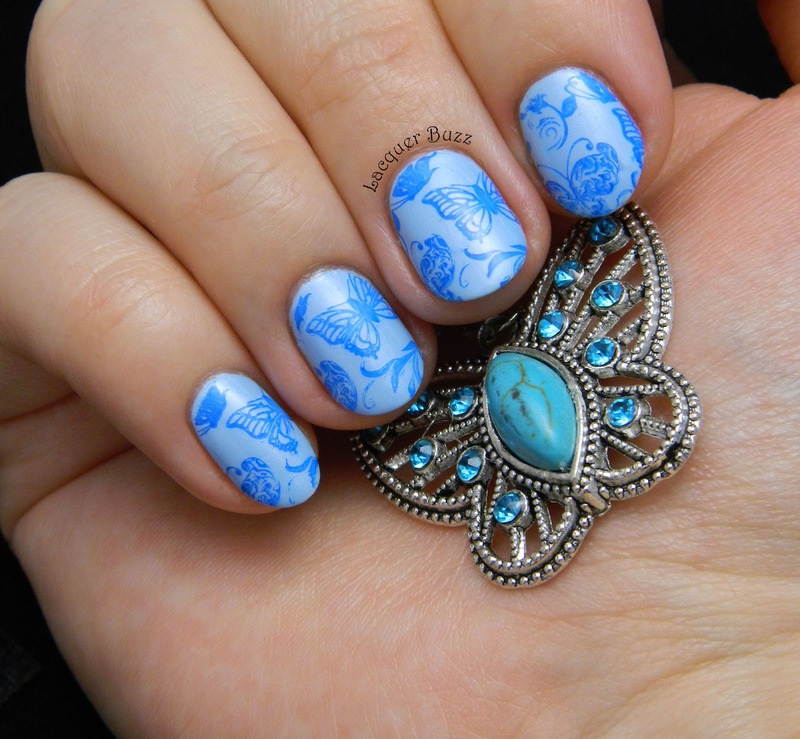 The base color is 525 Metallic Pastel Blue and the stamping color is 294 Indigo. The butterfly image is from plate BP-07 from the Born Pretty Store. 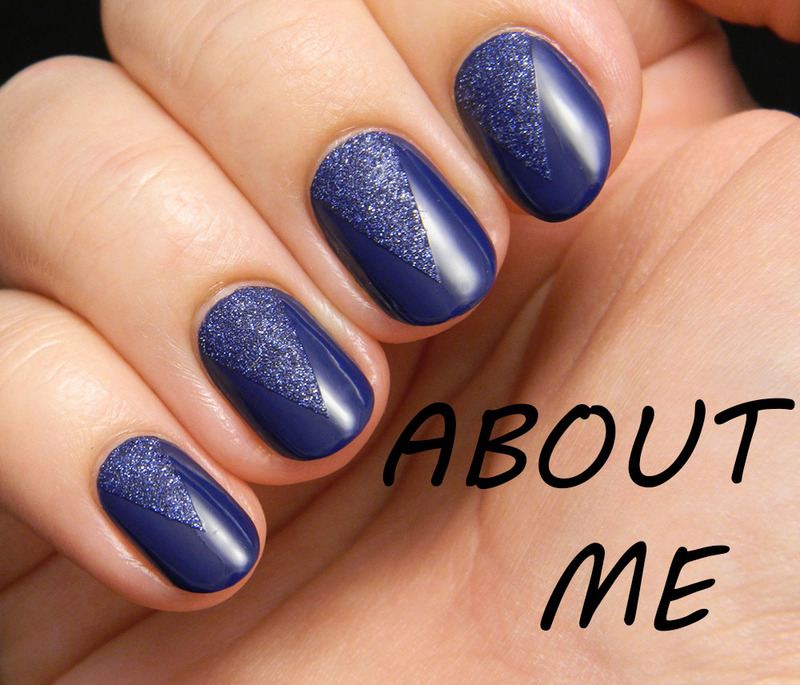 This manicure was extremely easy to create and made a great impression on everyone. This bright blue is the kind of shade that doesn't go unnoticed. 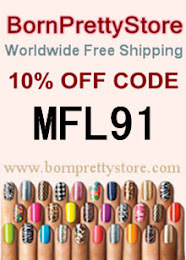 Don't forget that you can use code MFL91 to get 10% off your Born Pretty order. 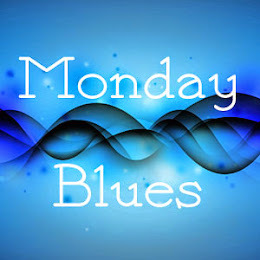 And check out the other February Monday Blues in the links below! ah...ce combinatie frumoasa ♥ baza etse superba! si stampingul de asemenea! They look awesome! I really should use my acrylic paints more often especially now that I know that doing gradients with them can get such great results like this. The peacock stamping looks fantastic too. Love the all blue theme! 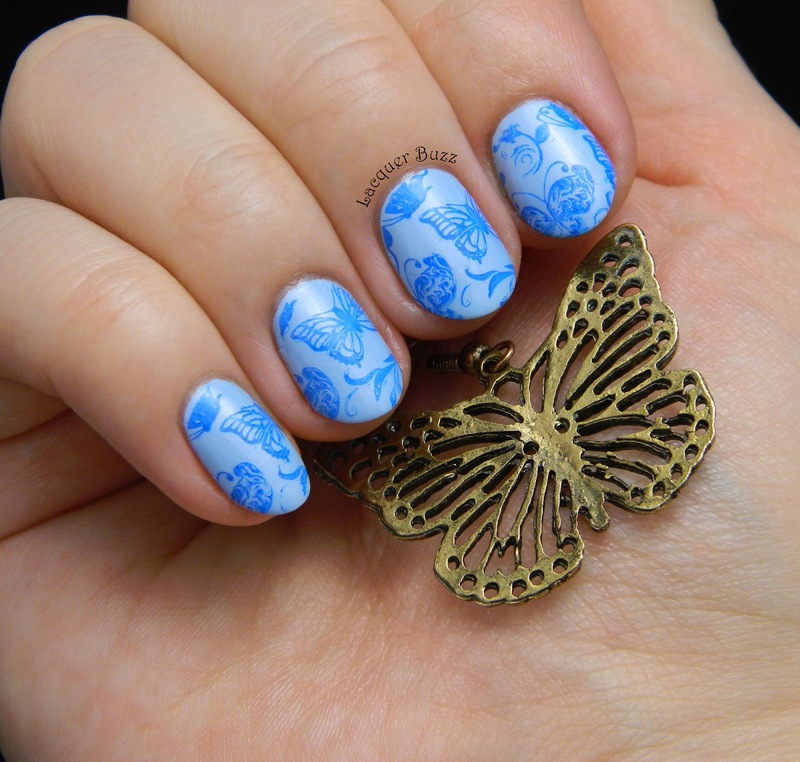 The butterfly stamping is pretty. 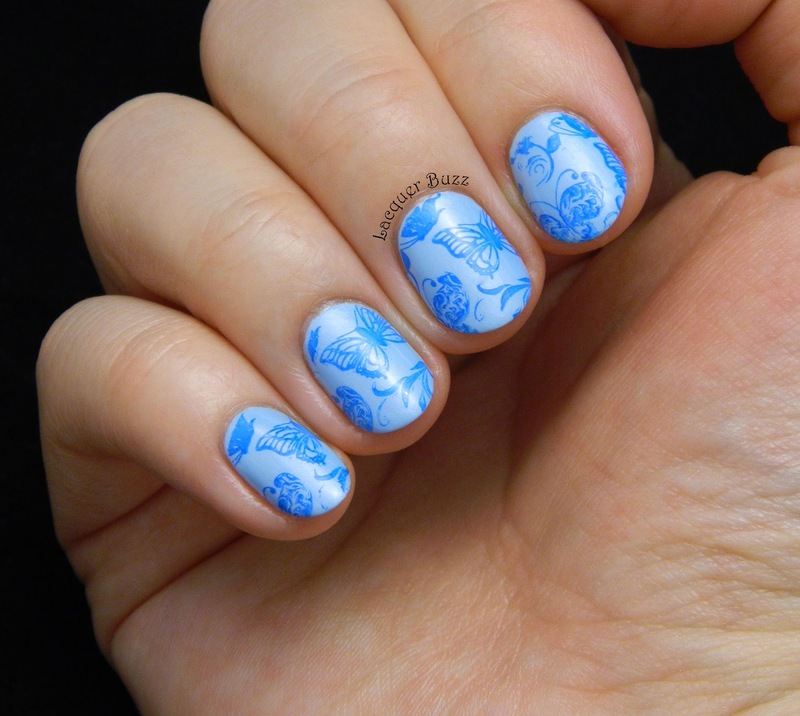 I love blue polishes and those are so pretty. Your stamping looks great to me! Even though it wasn't your original plan, it still turned out really beautifully! This is gorgeous! I love the two-tone blue look.